This easy broccoli cheese soup recipe post was sponsored by Better Bakery. All opinions are my own. 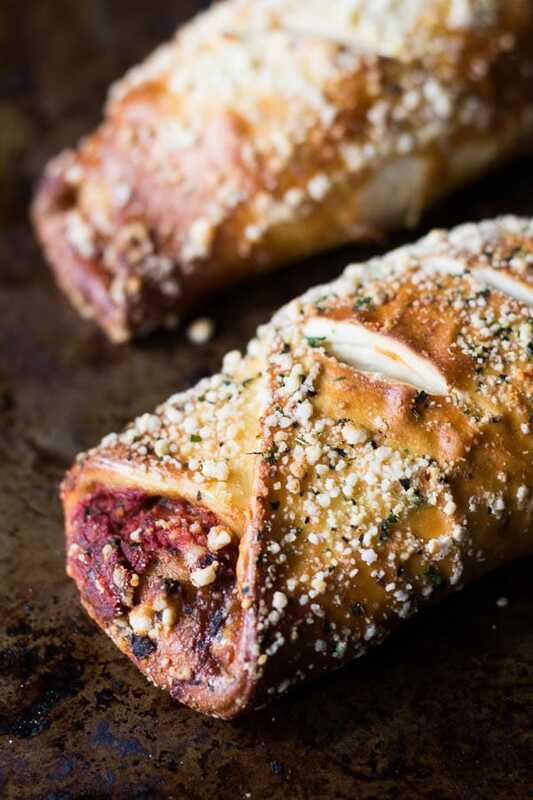 This is one of those recipes that you just need to have. Broccoli cheese soup is one of the most perfect foods, and it pairs perfectly with a piece of crusty bread or a toasty sandwich. My easy broccoli cheese soup recipe was designed to come out right, every time, with no fuss and no muss. Why? Because we’re all busy, and yet we all deserve to have something this delicious. It’s the best of all worlds to find something that’s both easy and tasty! To pair with your easy broccoli cheese soup, I’ve discovered a new kind of handcrafted artisan melts. Better Bakery’s Chicken & Bacon Club and their Cheese & Pepperoni Pizza are made in small batches to maintain the highest level of quality. Each sandwich is hand cut, rolled, and topped before making its way to the frozen food aisle of your favorite grocery store. I picked mine up at Walmart. 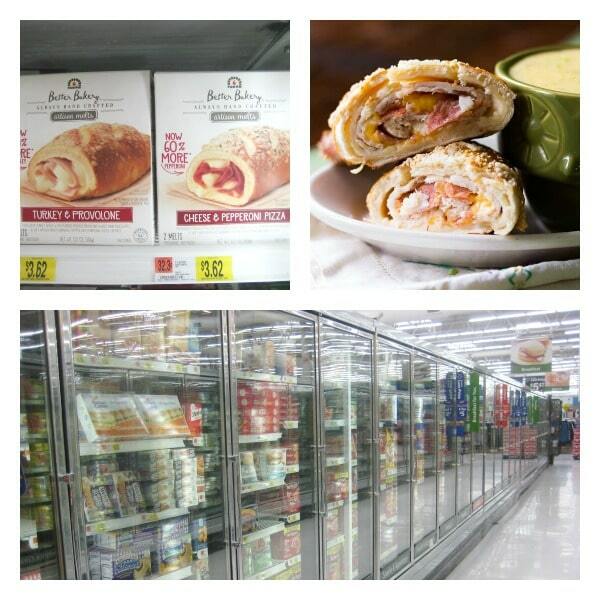 I especially like the Better Bakery Cheese & Pepperoni Pizza, but both varieties that I sampled were quite flavorful. Now, let’s make some easy broccoli cheese soup! Yes, that’s pasteurized process cheddar cheese in the ingredients list. Believe me, I tried to use plain shredded cheddar (with all the correct cooking techniques), and every time, the soup was grainy. Pasteurized process cheddar cheese is the secret ingredient in that famous broccoli cheese soup made by your favorite bakery & sandwich shop. You can use fresh broccoli just as well as frozen broccoli florets. Most people are accustomed to the flavor of chicken stock in broccoli cheese soup. If you’d like to make this broccoli cheese soup vegetarian, then just use vegetable stock instead of chicken stock. For an extra treat, toss a little crumbled bacon on top just before serving. Make this easy broccoli cheese soup recipe in just minutes! I love to serve it alongside crusty bread or a nice, warm sandwich. Try it, you'll love it! In a 3 quart or larger pot, melt the butter with the flour on medium heat. Reduce heat slightly so that the butter and flour mixture bubbles gently. Whisk and cook for about 4 minutes. Add the half-and-half a little at a time, whisking after each addition until smooth. Once all the half-and-half has been added and the resulting liquid is smooth and warm, add the broth and whisk together. Add a pinch each of salt, pepper, and nutmeg. Simmer uncovered for 20 minutes to thicken. Add the broccoli florets and bring to a gentle simmer again. Let simmer uncovered another 20 minutes in order to cook the broccoli. When the broccoli is tender, use a potato masher to mash the broccoli into smaller pieces. Once the soup is at the consistency you like, remove the pot from the heat, and then add the cheese a little at a time, stirring until smooth. I am a big fan of soup so broccoli and cheese soup sounds wonderful to me, especially for these cold days. I love how this takes less than an hour to make. Some crumbled bacon would be good on top. Thanks for sharing! Crumbled bacon? Heck, yeah! I am right there with you! 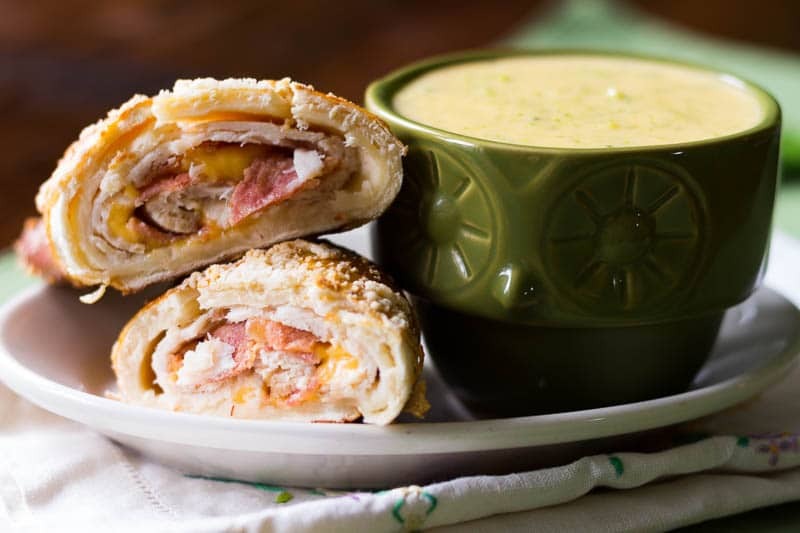 I am a big fan of soup & sandwiches, they are the perfect dish for a cold night. 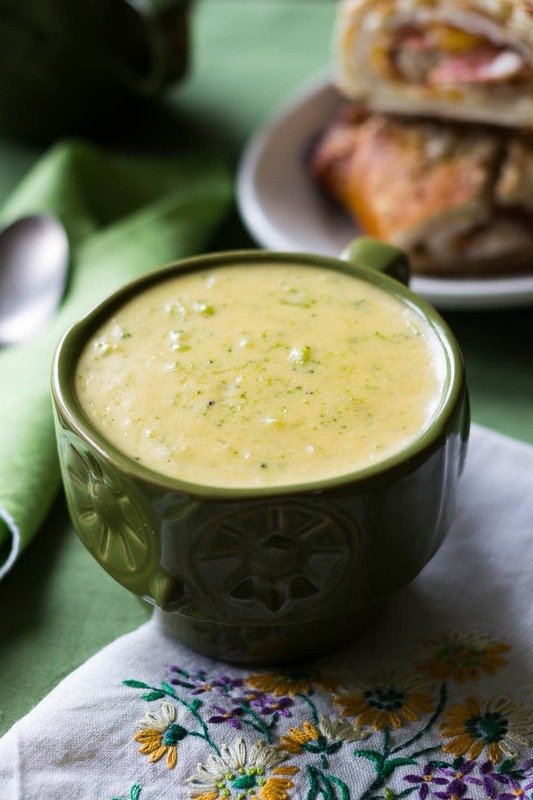 We haven’t tried broccoli cheese soup before but it sounds delicious! I can’t wait to give this recipe a try. It really is lovely! And like Tee says, you can throw a little bacon on top… yum! This soup sounds so good!! I love to make a big post of soup for the week it makes great left overs to send with my husband to work. 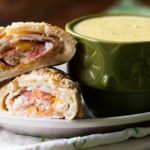 I love pairing soups up with our dinner makes, for a great meal. Thank you! It really does round out a meal nicely. Gives you a satisfied feeling!
. I’ve been using a a blender for my soups. I’m going to try your masher technique and of course the cheese. Thank you! !